It’s a page out of Orwell’s 1984. The increasing revelations about surveillance across the globe into our private lives is causing a divide in the Western states. Are the actions of the NSA in the United States, and the ASD in Australia creating an increasingly totalitarian environment? Are the Western states increasingly becoming paranoid with their citizens, feeling the necessity to scrutinize emails, phone calls, texts and social media platforms for a hint of agitation? Or is it simply a case of privacy versus security in an era of terrorism and cyber-terrorism? The endless ability to track our information in the new digital age is exhausting, but is it necessary? Mass surveillance is a part of our everyday lives. The dystopian views of Orwell, a man ahead of his time, suggested Big Brother would one day be on a screen in our living rooms, analysing our every action. It’s not a stretch to imagine the fruition of Orwell’s literature. Every household boasts a minimum of one screen, usually tapped into the internet. Then there’s the smart phone, iPads, the smart watch, Siri, smart fridges, and the list goes on. Everything has the ability to be monitored. GPS locations are automatically inbuilt into the devices carried in our back pockets. Basic email, text, and phone calls, are monitored by surveillance agencies for key words or topics discussed. CCTV scrutinizes us from every corner block—metropolitan or regional— tracking and following our movements, acknowledging our facial features and computing our emotions. And if you live in China, you’re now subjected to the Social Credit Score—a concept other governments are contemplating. Digital prints are recorded at airports; smart passports have chips imbedded but are already being disposed of in the USA for facial recognition and retinal scans; plastic money has endangered tangible currency; and discussion of future implantation of RFID chips inside our bodies will soon become, well, not a discussion. The endless ability to track our information in the new digital age is exhausting; but is it necessary? In Australia, the increasing concern started in 2014 when the then newly talked about proposal of a “surveillance tax,” was highlighted by Steve Dalby, of internet provider iiNet. His argument was against a tax rollout for consumers to foot the bill. Communications Minister Malcom Turnbull wanted to enforce the retaining of consumers metadata for two years, which include IP addresses, dates, locations and various details ASIO and other security agencies would see fit to seize without a warrant; and by the time he made Prime Minister, Turnbull got his wish. In conjunction with the already overwhelming ability to track the citizen’s movements and thoughts, retention of data has seen some large telcos baulk at the suggestion. The cost to our freedom is too great, they argue. But fast forward to today, these arguments are silenced. It’s not a stretch to imagine the fruition of Orwell’s literature. Following revelations by whistle blower Edward Snowden, the western world became acutely aware of their privacy being breached. But it isn’t just a matter of privacy. 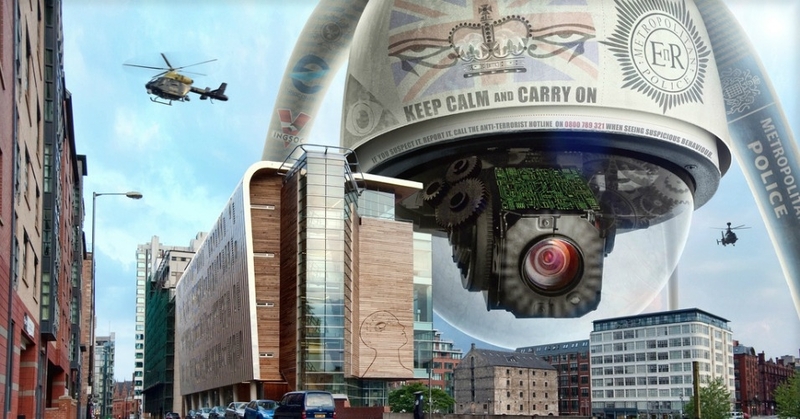 For a world who for decades after the last Great War believed they were safe from harm (under the guise of democracy), the trust has been shattered with implanted paranoia. According to mainstream media, the reality is the Western world is a target for mass terrorist attacks, particularly in cyberspace. The government claims they’ve intercepted potential attacks through monitoring, keeping us safe from harm. If a mass surveillance state didn’t exist, the potential for attack would increase tenfold. Although there is some truth to this argument, it’s a perception regurgitated on a daily basis to reinforce the importance of shadowing our movements, thoughts, and alliances. But at what point does this go too far? It’s not the financial cost of such a proposal that’s in question. It’s the slippery slope of surveillance becoming authoritarian. Suppression of our freedoms to speak without fear of retribution are dwindling at an alarming rate. Our thoughts are constantly being trawled on social media platforms such as Facebook and Twitter. If you live in Australia, government reach extends to health records with an imposed national electronic database to collate every aspect of the population’s mental and physical health. Our lives are no longer private unless we whisper them face-to-face in a secure ‘real-life’ room. If this level of surveillance is benign, as the agencies insist, why do we pay so much attention to the Assange’s and Snowden’s of the world? Their warnings, at the risk of their own freedoms, need to be heeded. If this level of surveillance is benign, as the agencies insist, why do we pay so much attention to the Assange’s and Snowden’s of the world? The everyday citizen argues they have nothing to worry about, but it reeks of an oppressive regime where one fears their own opinion on social media. Anxiety of government and public retribution play a part in voicing opinion, even as a journalist: Jamal Khashoggi’s death raised questions of why the West refuse to act; and currently, Australian blogger Yang Hengjun is being detained in an unknown location in China for his thought-crime. In an ABC article, 1984 and Our Modern Surveillance Society, Neema Singh Guliani of the American Civil Liberties Legislative Counsel suggested the surveillance state was beginning to directly impact on its citizens, and that “as a consequence, behavioural change within society is underway.” A totalitarian regime, under the guise of surveillance was well underway in 2014, creating the Big Brother society that Orwell has warned us about. The fear of another terrorist attack had us contemplating our neighbour with cynical regard, as much as the intelligence agencies contemplated us. Today, 5 years later, the external threat of terrorism has made way for the neighbour we watch with paranoia. The surveillance state now has us participating in government ground work to uncover threats to our system. It’s a means to separate the individual from its group, coercing societal members into their own bubbles, breaking down mass communication, first on the national stage, and then a global one. In five short years, most nations of the world have accomplished this. One can argue that it’s a necessary evil: we need to impose this mass surveillance to keep our attackers at bay. Unfortunately, the attacker we’re targeting in 2019 is the individual daring to voice dissent or to say no to the government. As Guliani pointed out in 2014, it’s changing our behaviour. Is the risk of creating a totalitarian state worth it? This article is a free and open source. You have permission to republish (Surveillance Slips Into Totalitarianism…But Don’t Say You Weren’t Warned) under a Creative Commons license with attribution to the author Aral Bereux and Dnewshq.com. Previous Is a Dystopia Synonymous with Humanity?